Mark March the 8th in your calendars ladies! 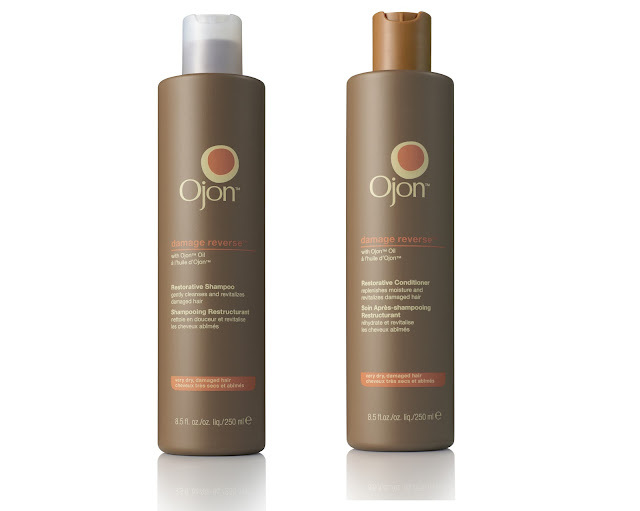 For one day only in Arnotts Dublin, Ojon are offering you the chance to take home a full size Damage Reverse Shampoo and full size Damage Reverse Conditioner by trading in any shampoo or conditioner bottle (any brand), no purchase necessary. I'm a big fan of the Damage Reverse products and you can read my review on them here. I will most definitely be heading into Arnotts on the 8th to trade in one of my many empties and get my paws on these fantastic products. I'd get in there early folks as it's only while stocks last! There are 100 bottles available so get in early to avoid disappointment! Oh poo. Wish I was in Ireland and not here. What a good offer! My perfume collection - photo heavy! Avon's Blackberry Supershock liner used two ways! Flutter flutter with Ja'maal Buster! Get Glam with Benefit and Diet Coke! Joanne's found her skin cocktail! Latest Carmine beauty box - spoilers!